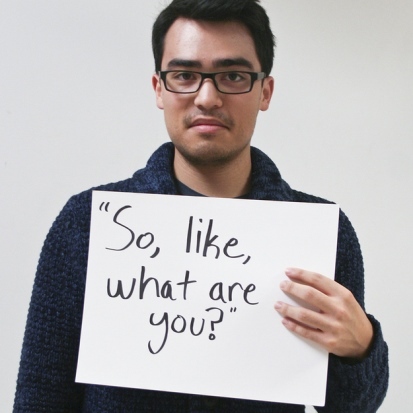 Microagressions aren’t just a term you read and theorize about. They happen everyday to people just like you and me. Buzzfeed has assembled a powerful set of photos about students at one university responding to microagressions they have experienced. I’m really out of the loop since I thought universities were one place when this sort of behavior had stopped. I was wrong. Unfortunately, colin, I have found that universities are a bastion of ableism as well as plenty of other -isms. I’m talking blatant ableism, like telling students they can’t belong to extra-curricular groups because they hold practices or meetings in buildings that aren’t wheelchair-accessible. Telling teachers they can’t participate in faculty meetings because those meetings are held on non-wheelchair-accessible floors. It’s ludicrous. I don’t know a lot about the modern education system but I’ve had similar experiences, although not to do with race, in the workplace. I’m a trans woman that’s also lesbian. I’ve had comments made towards me as people walk past and also women seeing me in the toilets then looking at the sign on the door to check that they’ve actually gone into the right toilets. It still seems that if you don’t fit in with a particular group comments will still be made. Many people still aren’t comfortable with differences.